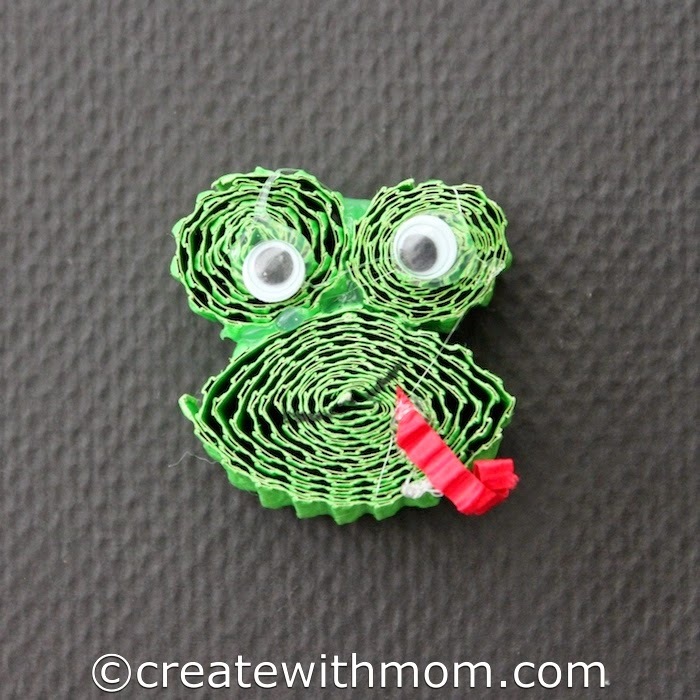 I involved my children to make these cute quilled magnets with Corrugated Cardboard Strips. This was our first time quilling with Corrugated Cardboard Strips, and the process was smooth because we followed the clear instructions on the package of the Corrugated Cardboard Strips from Quilled Creations. My children enjoyed making this fish and frog with the Corrugated Cardboard Strips. It is fun and easy for children to do quilling with these pre-cut Corrugated Cardboard Strips as it does not require us to use a tool. All we have to do is roll tightly, glue, put an elastic band around the rolled strips and let it rest and dry before bending, folding or twisting to make shapes and characters. Oh wow - so creative! I've never seen these before! These are awesome!! My kids will be able to make these for homemade Christmas this year! My fridge is covered with different types of magnets. These are adorable. My favorite is the fish. Those are adorable. I have done this with my class and we would glue them onto a card and used them as christmas card for their parents. I love them. Very creative and different. Those look so awesome! Very creative! This is neat, my older child would love to make these! I especially love the frog! This is a great craft idea for us to do while the baby is napping every afternoon. Wow, so cute. I love your crafts. These are so freaking cute - i can't wait to make these and then try them with my son. I work retail and get many boxes - might be super fun to paint our own. Ohhh these are sooo cute! I'd like to make something like thing, maybe sunflowers. this is a very cute craft! What a cute fun craft! Love this craft idea its so cute! I love finding new crafts for the kids, and I haven't seen this before. How very cute! I'd love to try this with my grand-daughter. She loves to craft with me!